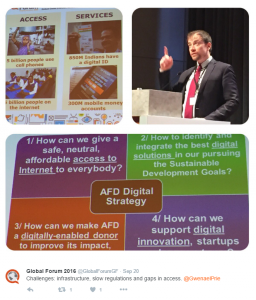 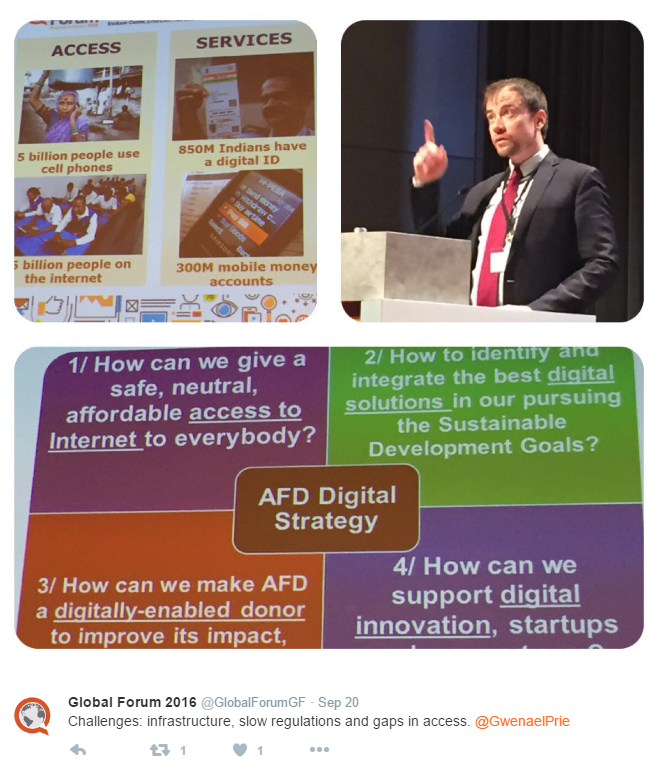 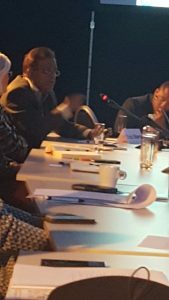 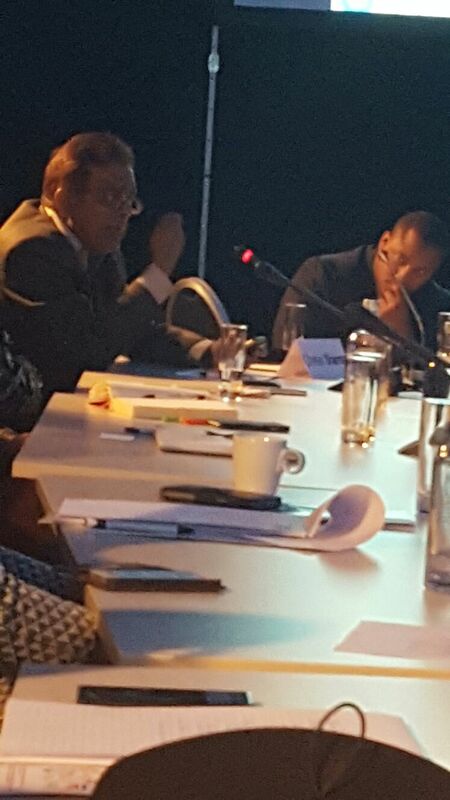 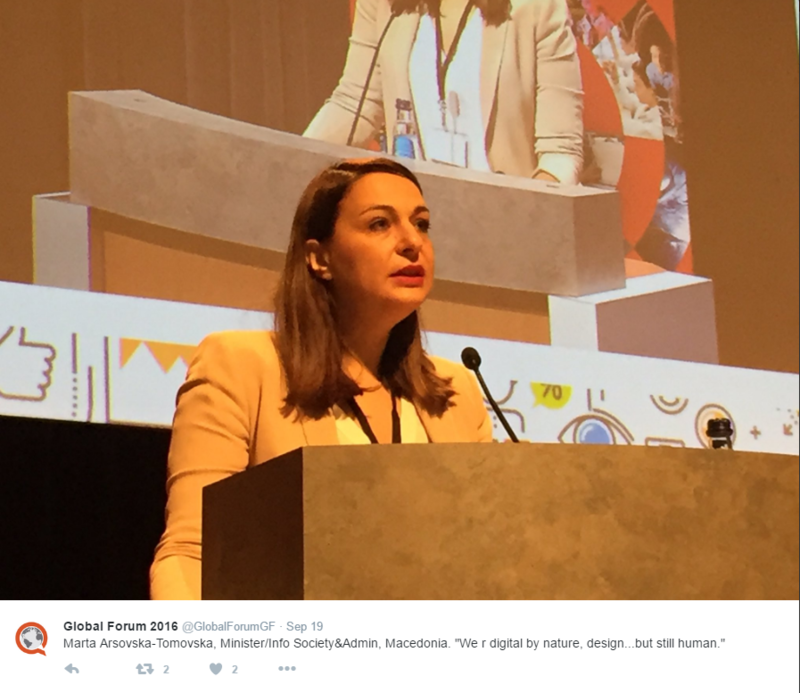 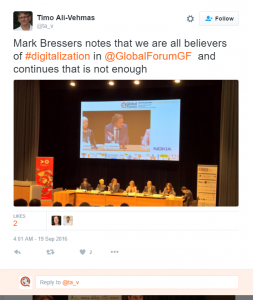 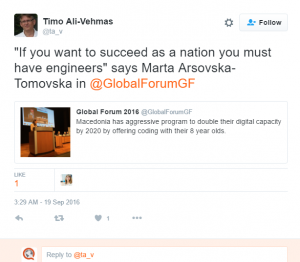 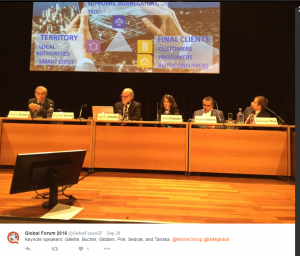 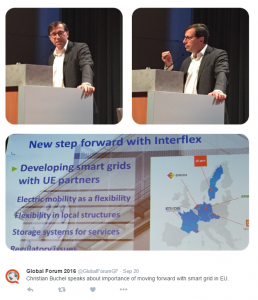 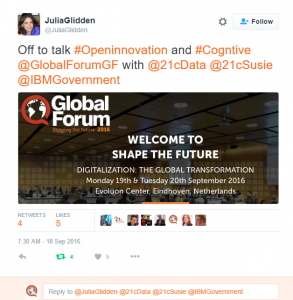 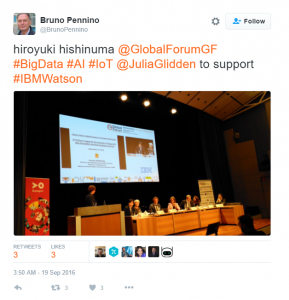 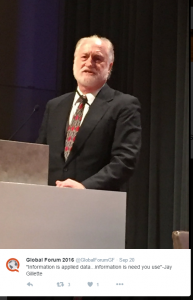 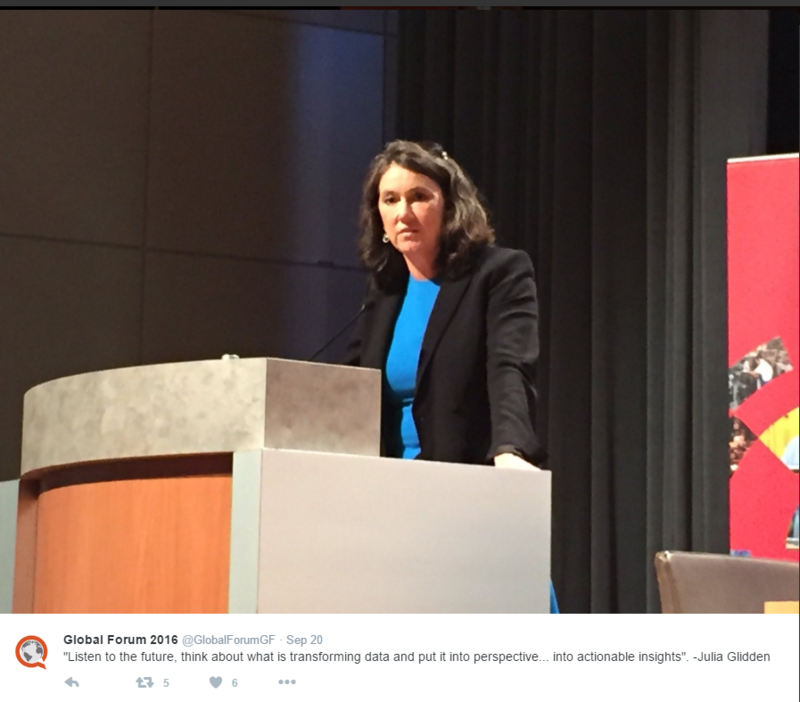 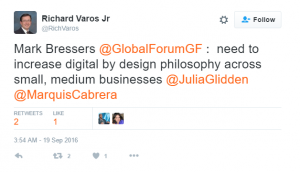 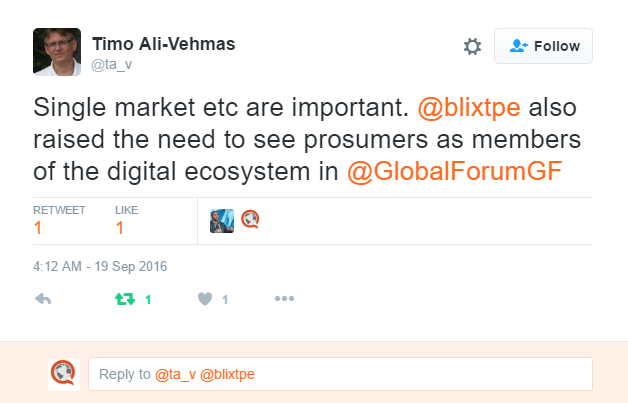 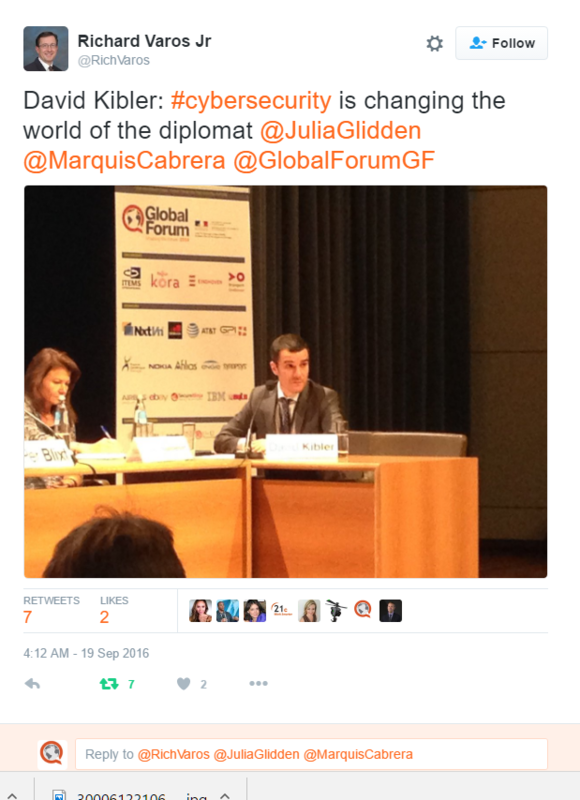 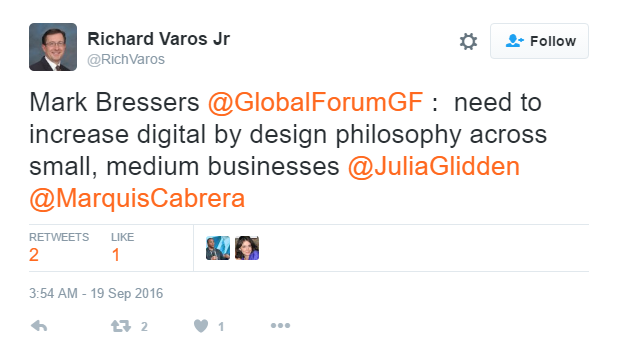 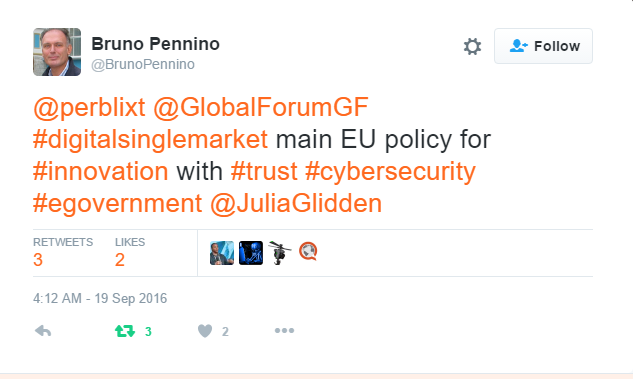 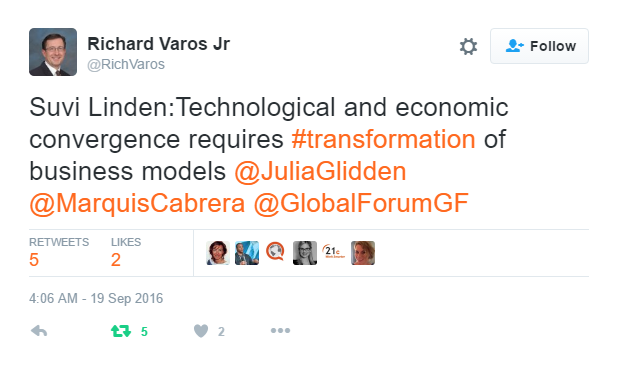 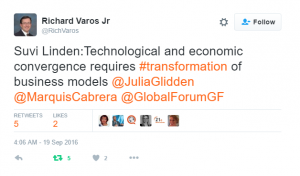 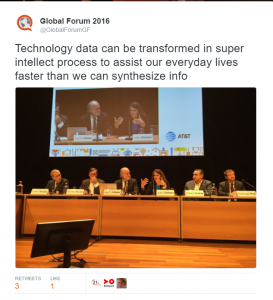 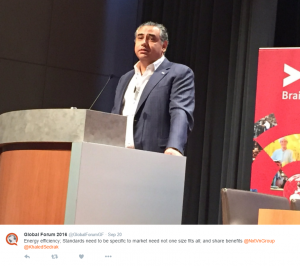 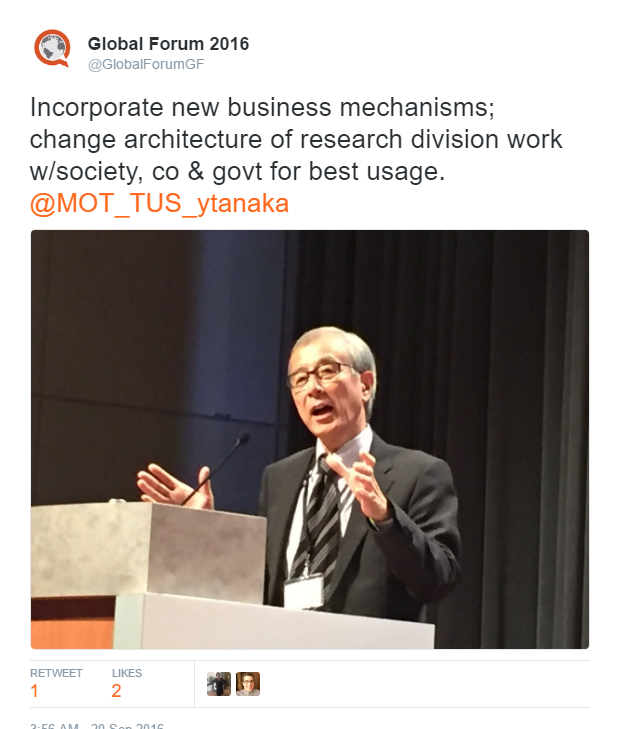 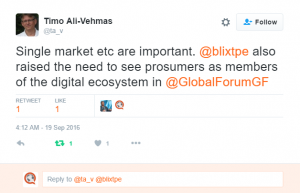 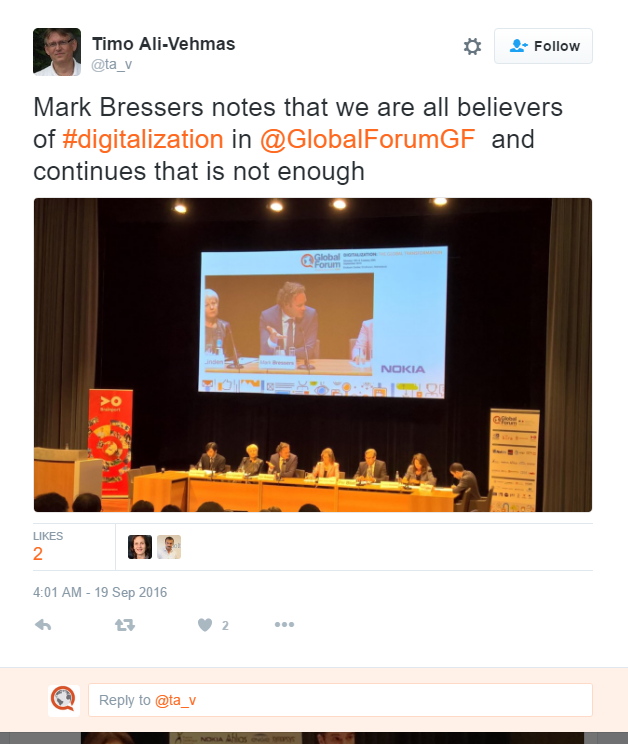 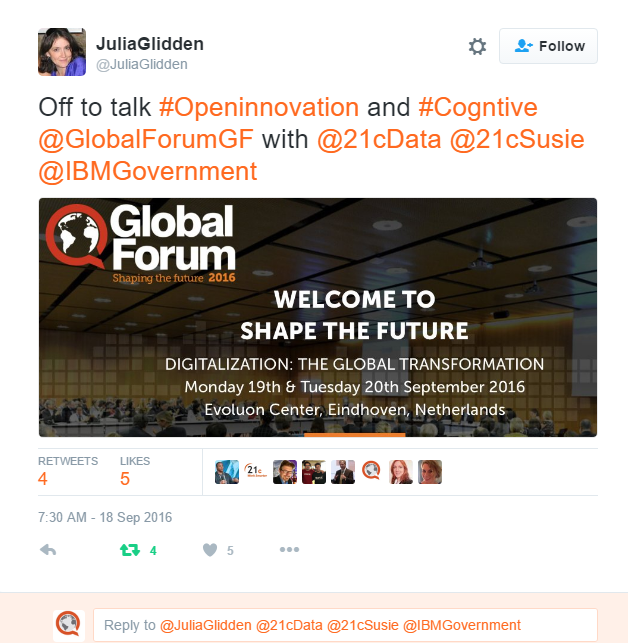 The 2016 Global Forum featured many innovative speakers on digitization. 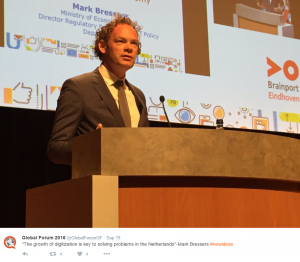 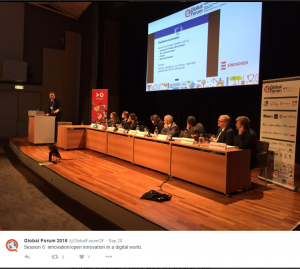 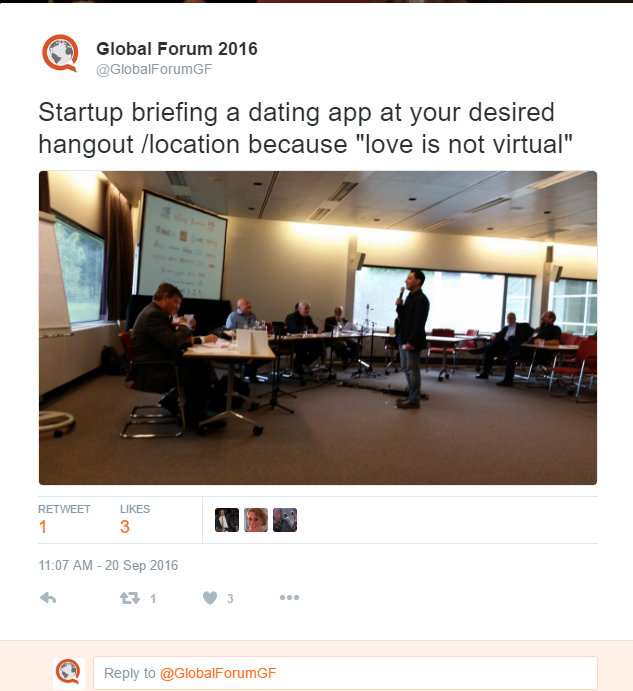 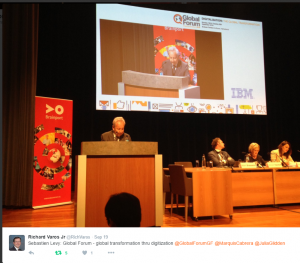 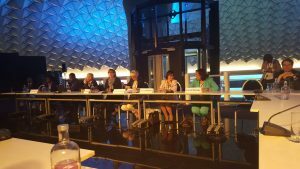 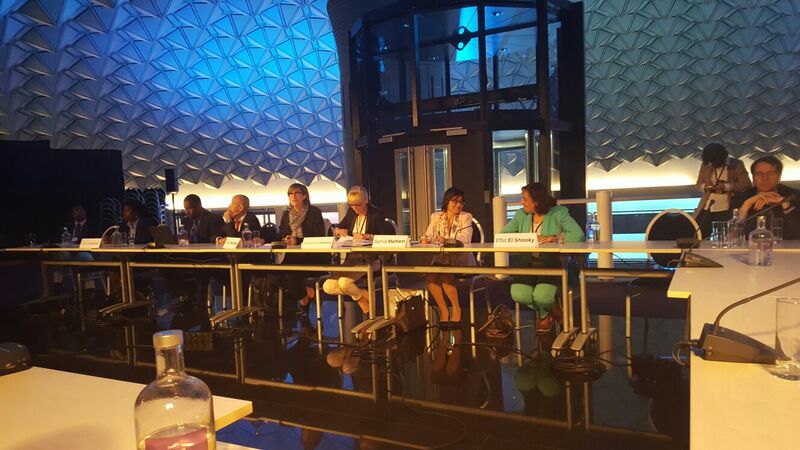 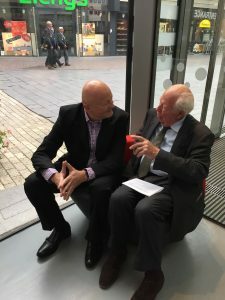 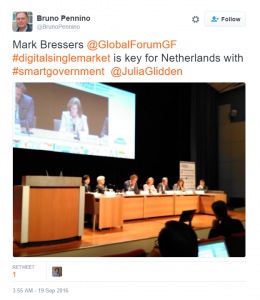 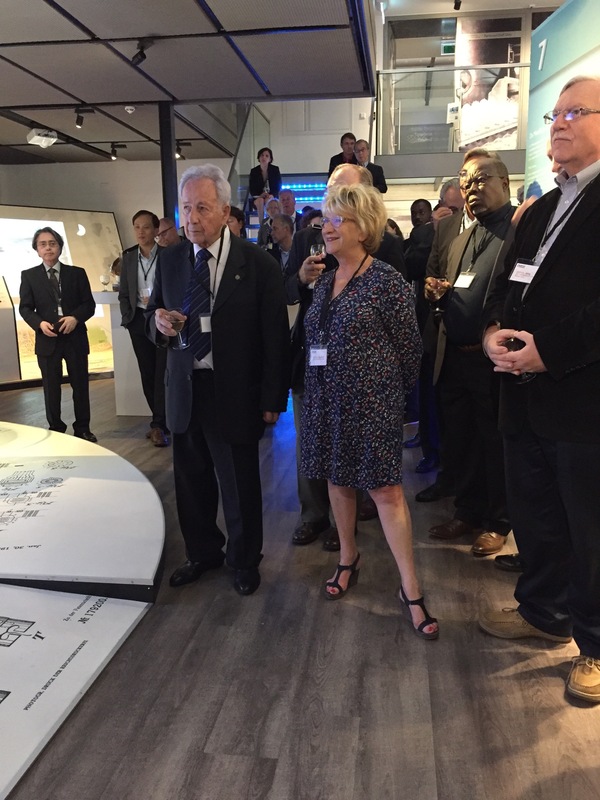 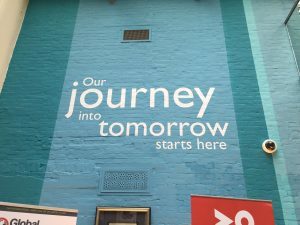 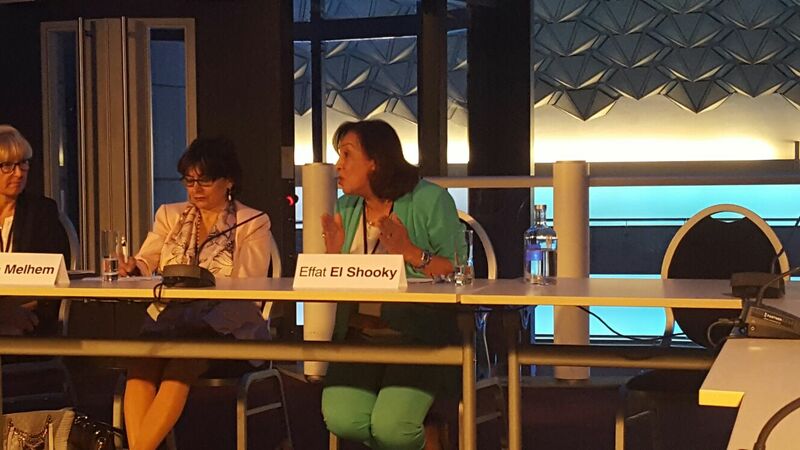 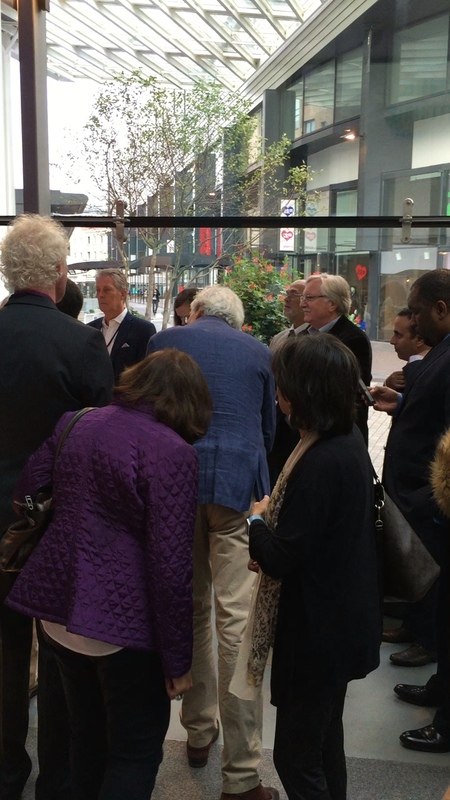 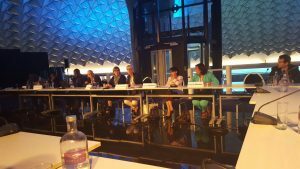 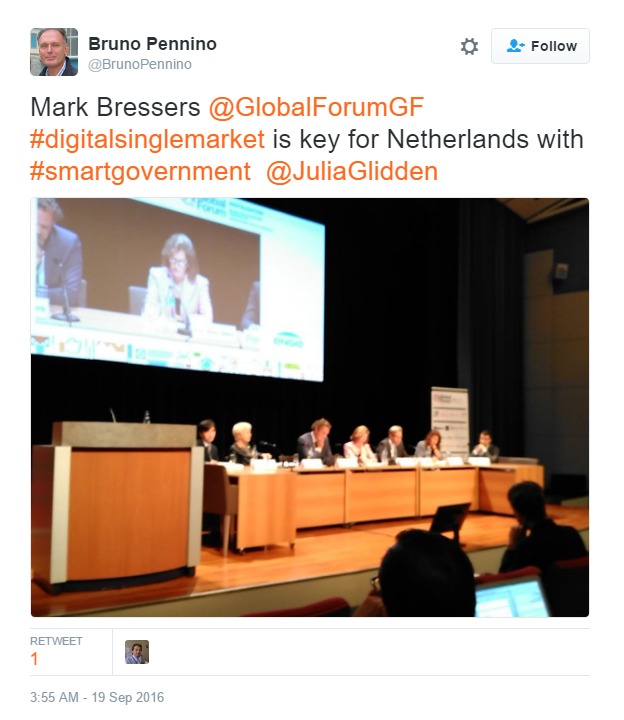 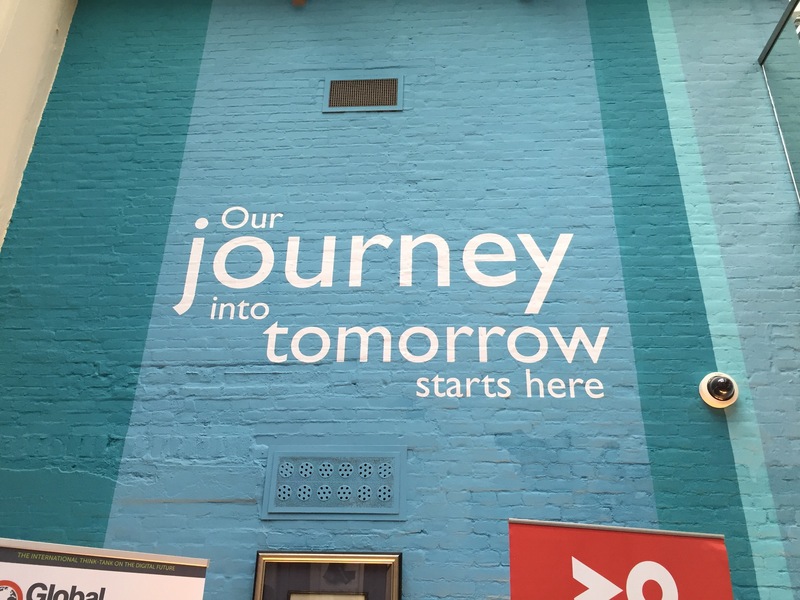 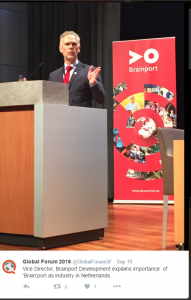 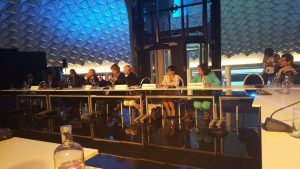 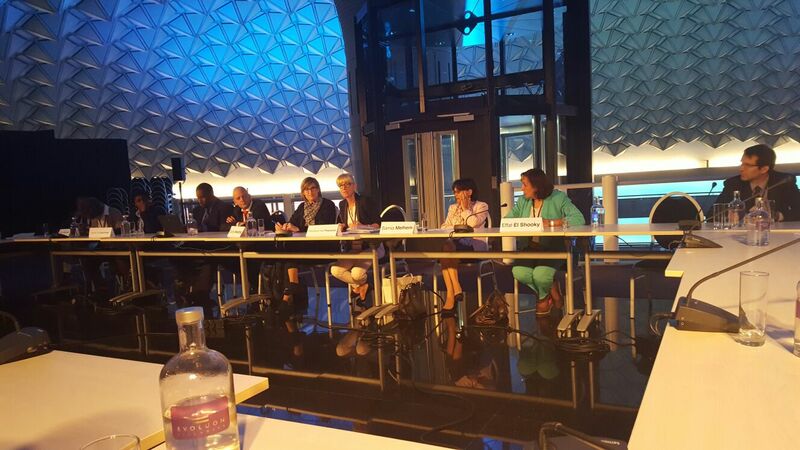 It is the 25th Global Forum, befittingly gathered in Eindhoven, the Brainport of the digital eco – system. 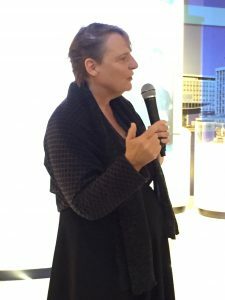 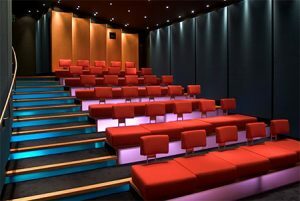 The conference featured an inaugural, collaborative event. 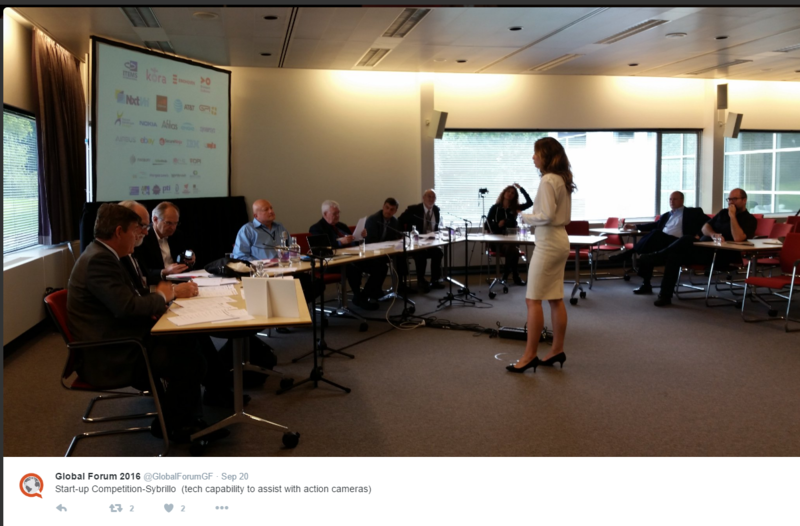 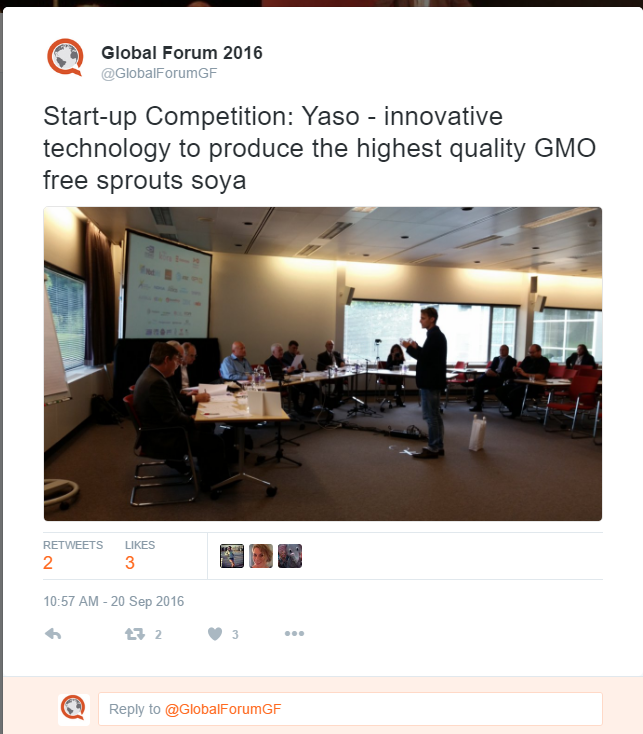 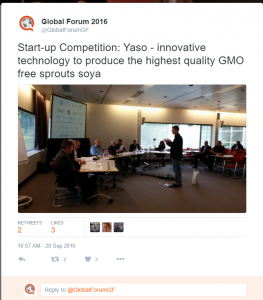 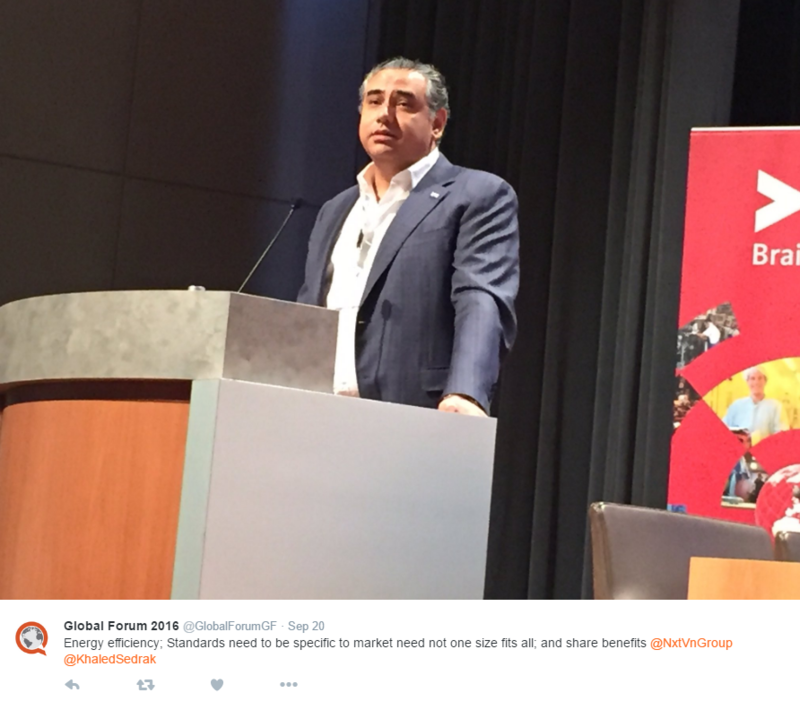 There is no innovation without startups – so GISCO, the Global Innovation Startup Competition was added to the agenda. 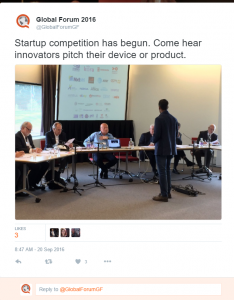 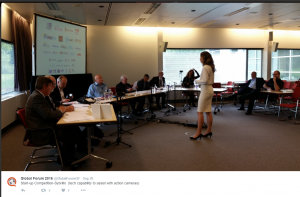 17 companies competed, representing eight nations, covering three continents. The jury consisted of pioneers in the startup industry in the EU and the US (Silicon Valley), including distinguished Global Forum speakers and steering committee members. 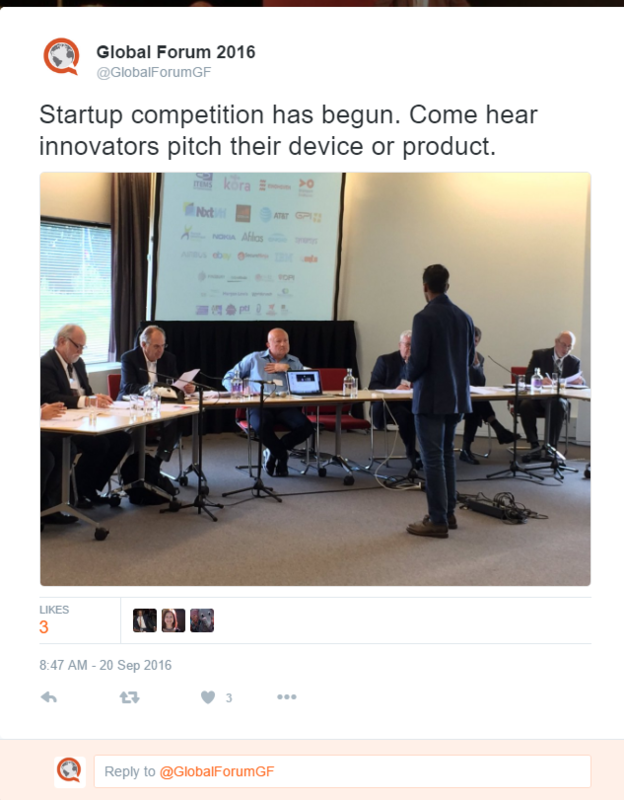 The winners are: LocaidMe (Prague/Silicon Valley), a safety app to detect threats in real time in public places in an actionable format. Second place went to Strategic Security (Virginia, USA), a network vulnerability scanning solution. Third place went to Semiotic Labs, an Amsterdam based equipment failure detection and monitoring solution company that works with private sector and government entities. 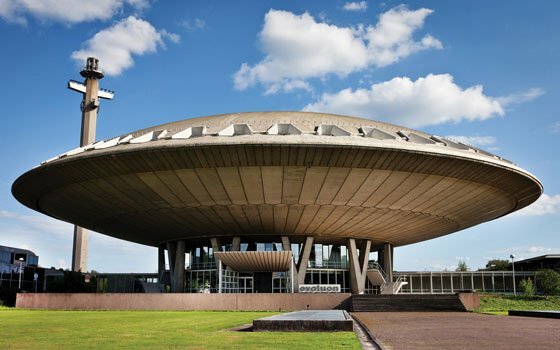 Eindhoven’s Evoluon is an out-of-this-world building that serves as a multi-purpose conference and events center. Shaped like a flying saucer, it was commissioned by Dr. Frits Philips — who made the first sketches of it on a napkin — and built by architect Louis Kalff in 1966. 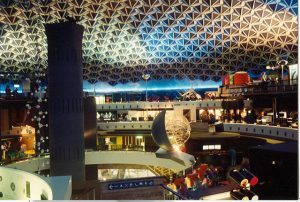 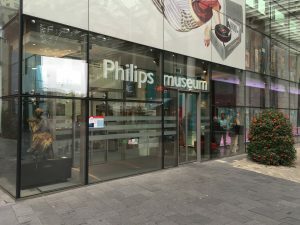 An innovative building and a proud icon of science and technology, it has always attracted a large number of visitors thanks to its unique interactive exhibitions. 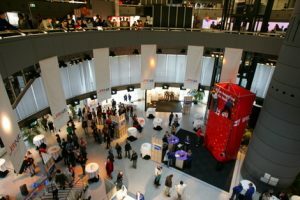 The Evoluon is located in the Eindhoven Brainport region, which is known as a technology and innovation incubator.